"Insecure" will be back, but not as soon as we'd like. Deets inside. 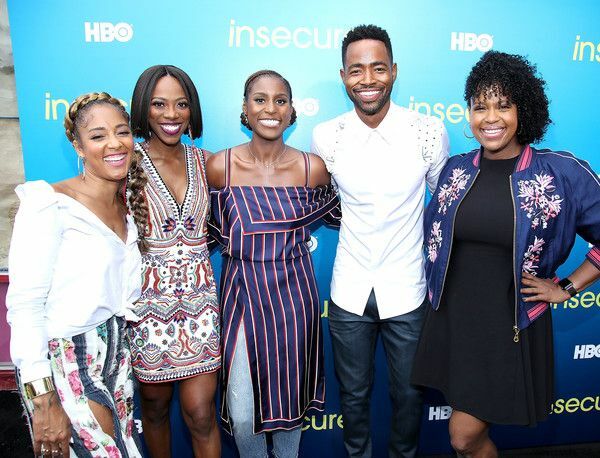 Deadline has reported that the fourth season of "Insecure" will return some time in 2020. Lawd! The long wait very likely could be due to the cast being busy with all the gigs outside of the hit HBO show. Issa's new movie with Marsai Martin and Regina Hall - Little - made a dent at the box office this past weekend. And she's currently shooting a new movie called The Photograph. Amanda Seales has HBO stand up comedy shows airing and Yvonne Orji has projects in the works as well as a successful podcast. Natasha Rothwell will be in the new Wonder Woman movie and is producing and writing on several projects. We're just going to go cry in Trader Joe's. But we'll be ok. We think. As long as there's another bomb pool party before next year.